Hidden cameras have long been used by law enforcement agencies around the world to catch criminals in the act. Oftentimes, the types of footage obtained by these cameras don’t just lead to arrests – they make sure that prosecutions stick and that criminals of all sorts get the justice that they so richly deserve. But not every instance where a hidden camera is used involves a high-profile drug bust – far from it. Authorities in Australia, for example, recently turned to hidden cameras to put a stop to not one but two significant problems that they regularly face: crab thieves and illegal fisherman. When you think about a hidden camera sting operation you may not immediately call to mind images of people on boats trying to catch crabs without permission, but as fate would have it you probably should. If you don’t live in Australia, you may not realize just what a significant problem both crab thieves and illegal fisherman are. With such a significant portion of the economy based around these types of activities, any illegal activity does more than just harm the environment – it hurts the livelihoods of countless people around the country, too. Stealing crabs or crab pots is already a criminal offense in Australia, but sometimes catching these criminals is a lot easier said than done. Luckily, the Queensland Boating and Fisheries Patrol has gotten savvy when it comes to catching thieves in the act: they’ve been using a series of hidden cameras to both catch and prosecute offenders. Sometimes it can be understandably difficult to catch crab thieves in the act, as there is no one particular location that can be monitored. Thieves, just like legitimate fisherman, go where the crabs are – which can vary depending on a wide range of circumstances. The crab pots, however, tend to be more permanently tied down – which is precisely what these cameras are aimed at. Many of the cameras themselves are concealed so that people won’t actually know they’ve been caught until it’s already far too late. Additionally, there have been four permanent Queensland Border Force Patrol officers keeping an eye on affected areas for the first time since 2012. There are a wide range of different high-risk areas for crab pot interference in particular, which include but are not limited to The Narrows and Gladstone Harbour. But catching criminals isn’t the only thing that Queensland Boating and Fisheries Patrol officials are concerned with – they also want people to stay as safe as possible on the high seas, too, especially during the holidays. Jim Purcell has been a volunteer Marine Rescue member for over four decades and this year, he’s urging all boating enthusiasts to double and triple check their safety requirements before heading out on the water. He’s also urged people to make sure that they regularly check the weather forecast and to also make sure that their Emergency Position Indicating Radio Beacon (otherwise known as the EPIRDB) registration is up-to-date. Officials have indicated that the waters around Australia tend to be on the quiet side on Christmas day in particular, with many people just heading over to areas like Curtis Island to pick up friends, family members and other loved ones. That doesn’t mean that safety considerations don’t still apply, however – particularly when you consider just how unpredictable and fickle Mother Nature can sometimes be. In the end, all of this should serve as an important lesson when it comes to boating in and around Australia. If you’re heading out onto the water to engage in illegal activities like crab pot interference or illicit fishing, know that the hardworking men and women of the Queensland Boating and Fisheries Patrol are using modern technology to keep an eye on you. If you’re just trying to pick up friends or family members or want to make this holiday season a memorable one, they’re also concerned for your safety – something that you need to proactively handle before, during and after your trip out onto the water. 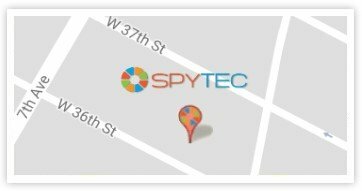 Google Admits It's Been Using User Location Data... Even When You Told It Not To!